What began as a winter homeschool project has turned into a published book! This interactive choose-your-own story is the creation of my sons. (I wrote “ghost wrote” the final copy for them, only I put my name on it, too.) It’s now available in paperback and Kindle (just 99 cents!) formats. So far, it’s been a hit. One former homeschool student now working on her PhD even hailed it as “a really neat example piece of a curriculum tool, in addition to a fun little adventure story, that could be very helpful to other homeschool parents with kids who like to write”. If you are a teacher or a homeschooler looking for a unique writing project, I wrote up a post about how we did it. Check it out over at the Quest Teaching blog. It was a time investment, but so worth it. Tony is faced with plenty of tough decisions. But if he wants to play football for the Centerville Tigers next year, he has to stay on his best behavior. And Tony hasn’t always been known for good behavior. When Tony and his best friend, Ed, see a blur of movement inside Cursed Manor on their way home from football practice, the choices they make become fraught with danger. Tony’s football career—and maybe his life—is on the line. 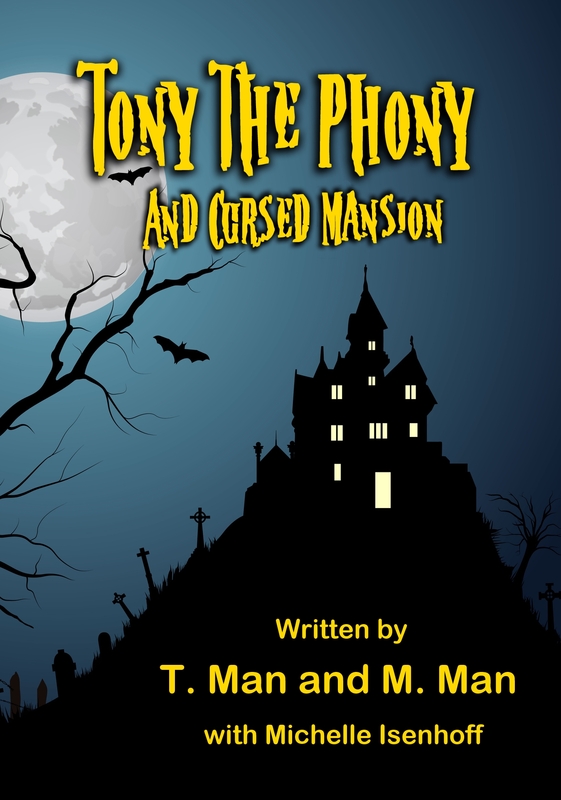 Tony the Phony and Cursed Mansion is an interactive book that lets readers make crucial plot decisions. Choosing one will move Tony’s story in one direction. Choosing another will set him on a different course. The adventure awaits… Choose wisely! What a neat project. You are so creative! Thanks, Erik. My guys will be super excited knowing their book is in YOUR Kindle! They still reread yours on their ipods. T-Man especially reads it over and over. They’re your fanboys, lol. Your kids are so lucky, Michelle! But you probably know that already. What a cool way to use modern technology. I will keep spreading the word to teachers & librarians.